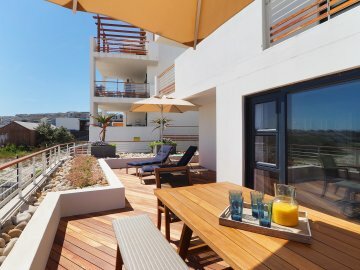 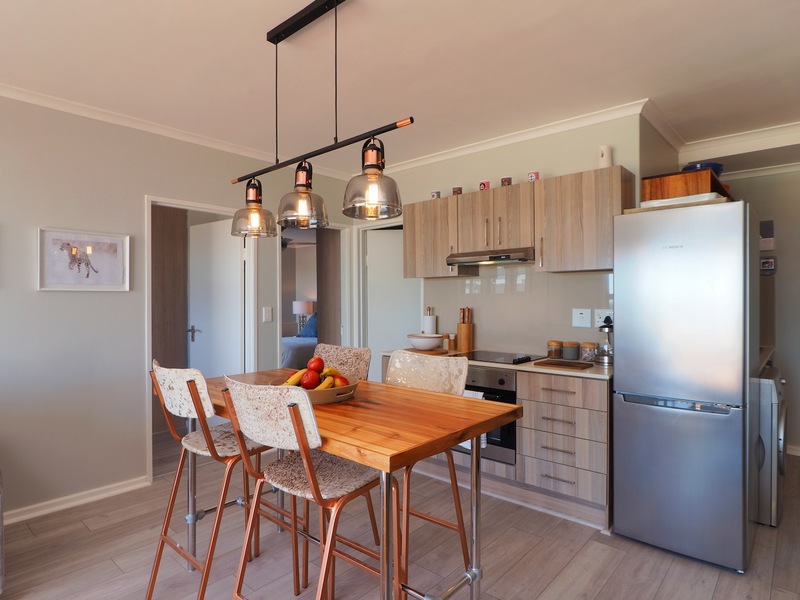 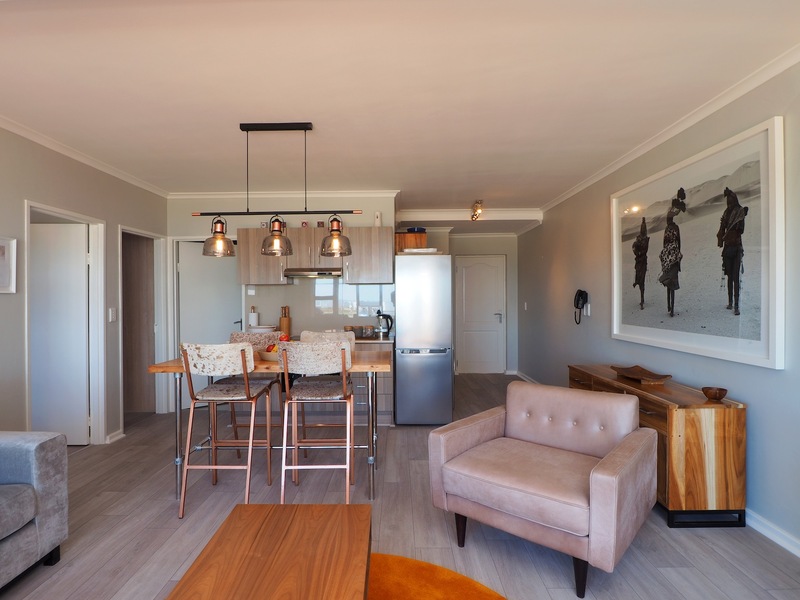 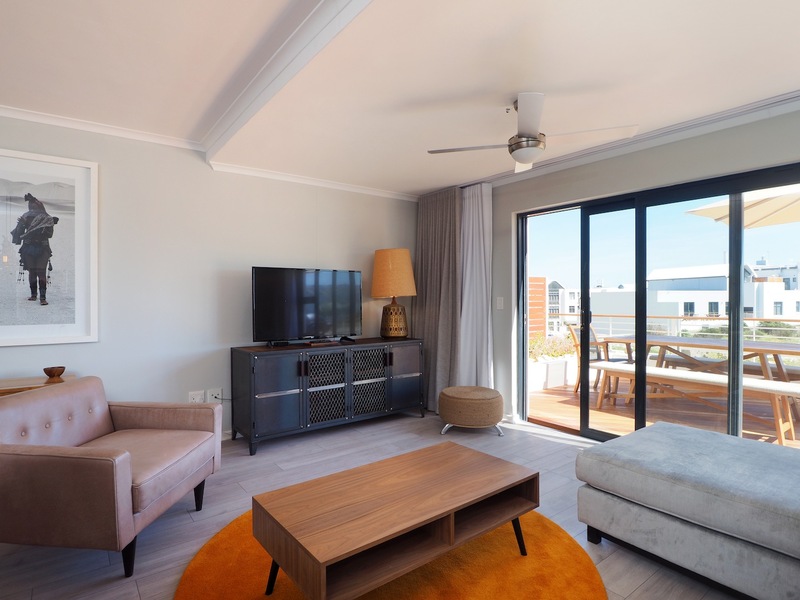 Beautiful To Bedroom Apartment located a mere minutes walk to Eden On The Bay and Blouberg beach, with an array of restaurants and bars on your doorstep. 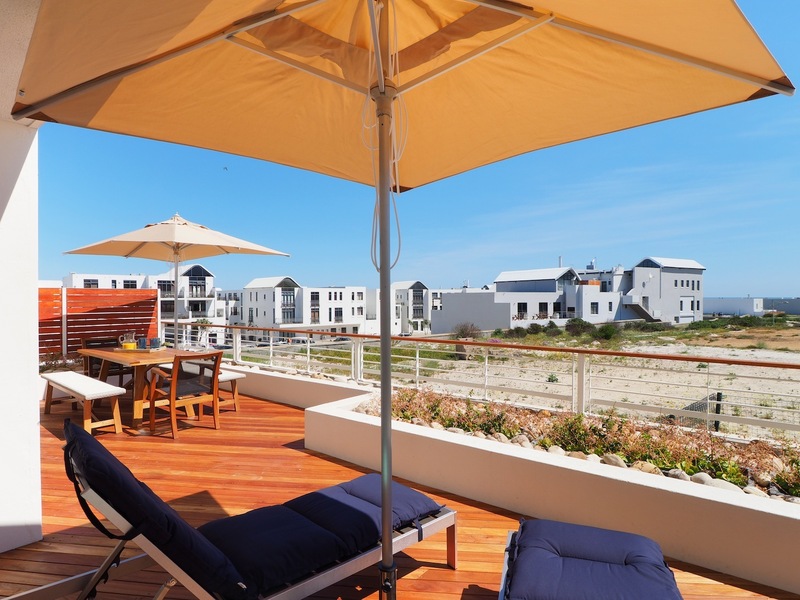 Situated in a complex in Big Bay, Azure On Big Bay is a comfortably furnished self-catering apartment for 4 people. 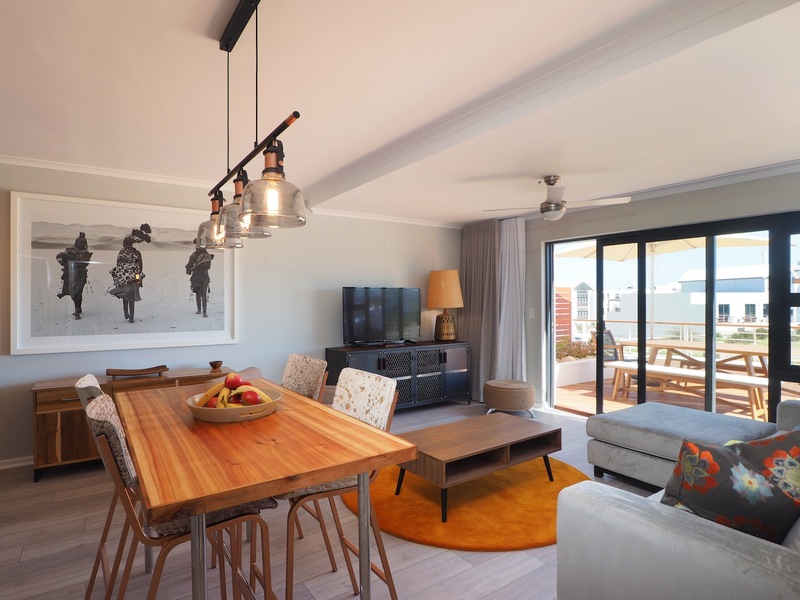 The extra bed in the second bedroom can accommodate a 5th guest (ideal for a child).Situated in a complex in Big Bay, Azure On Big Bay is a comfortably furnished self-catering apartment for 4 people. 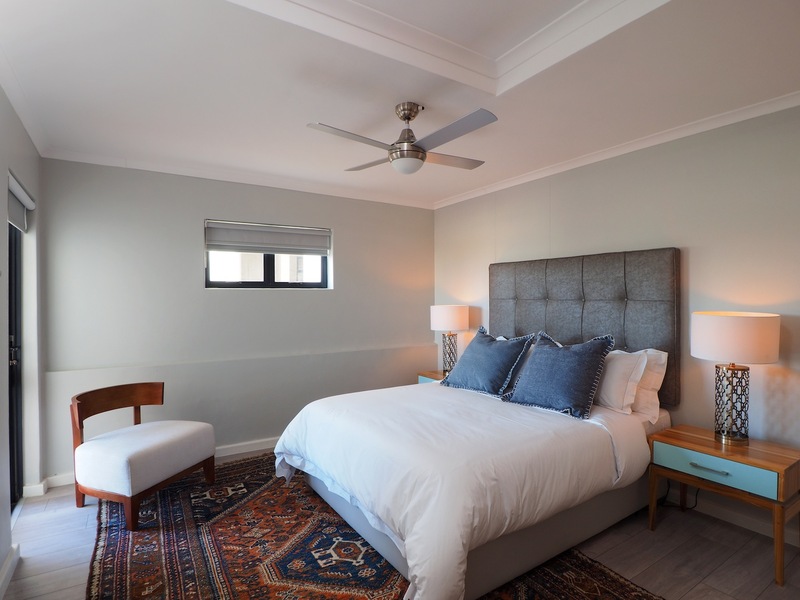 The extra bed in the second bedroom can accommodate a 5th guest (ideal for a child). 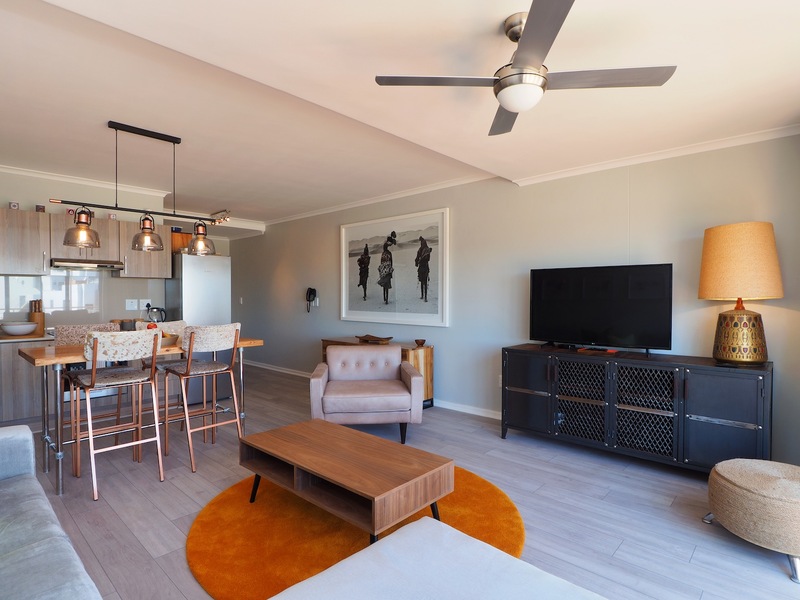 Beautifully furnished, the apartment has 2 bedrooms with ceiling fans that share the use of a bathroom with a bath and a shower. 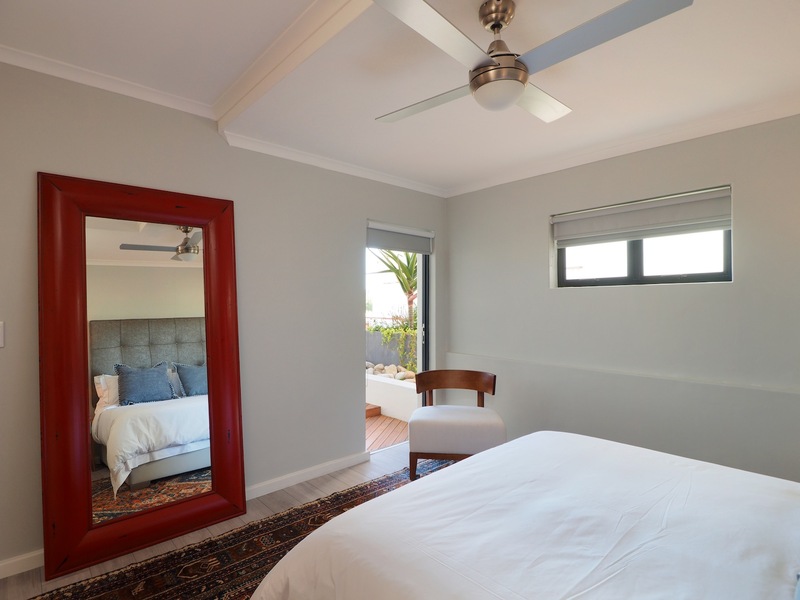 The main bedroom contains a queen-size bed and opens onto the terrace deck. 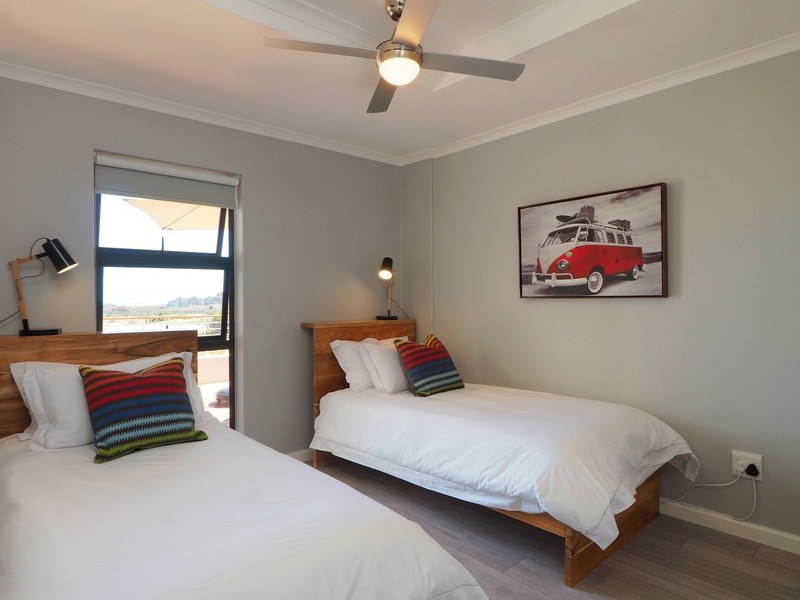 The second room has 2 single beds, as well as an additional pull-out single bed to accommodate a fifth guest - ideal for a child as it is quite a tight space. 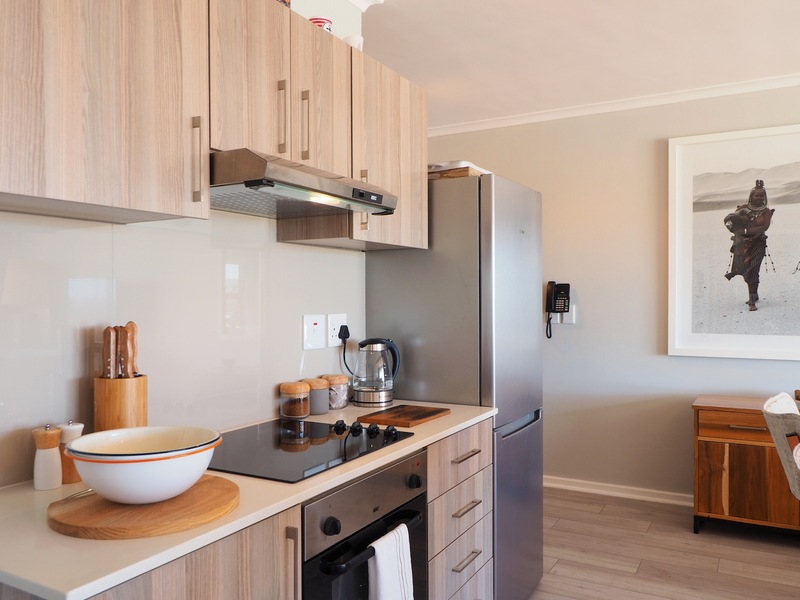 The open-plan kitchen is equipped with a stove and oven, a microwave, a fridge-freezer, tea and coffee facilities, a washing machine as well as a dining area. 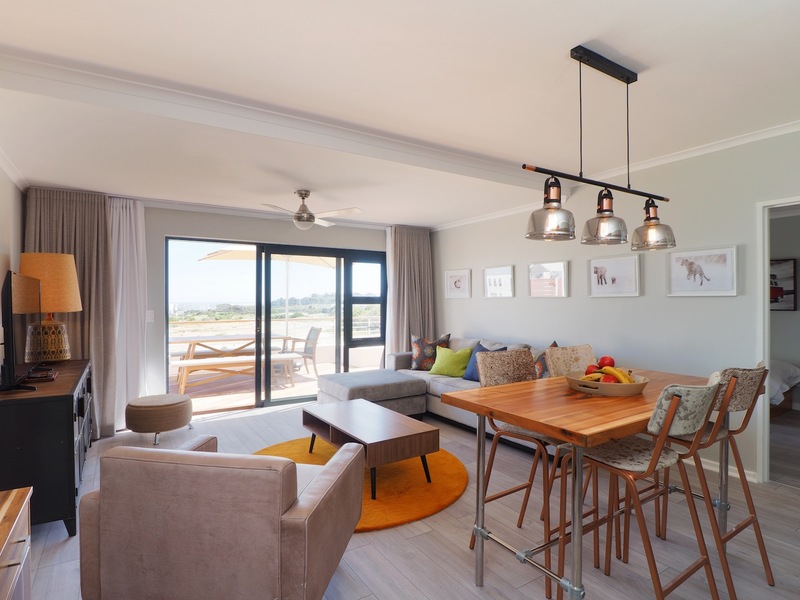 Guests can relax in the lounge which is equipped with a ceiling fan, a TV with Netflix, a DVD player and a movie box on offer and opens onto a terrace with a gas braai and seating for 8 people. 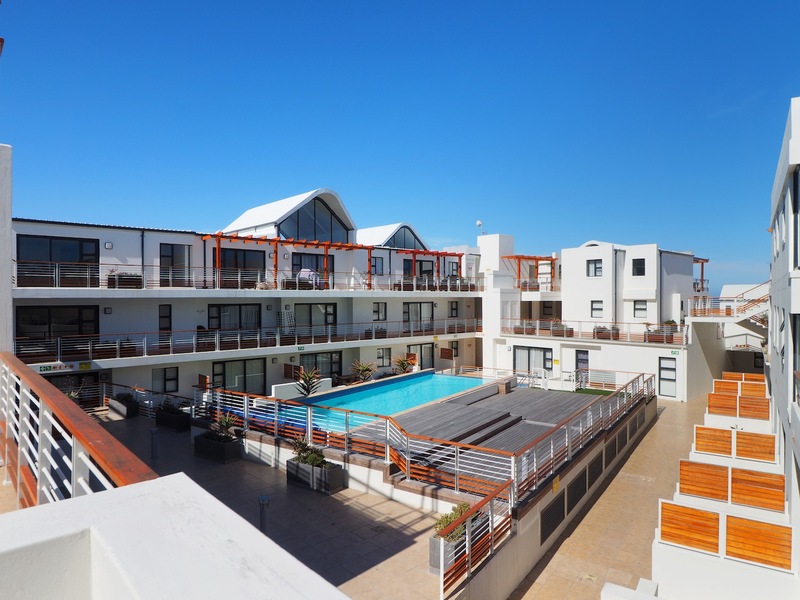 The complex has an outdoor swimming pool and is within walking distance of Eden on the Bay which offers various restaurants and shops. 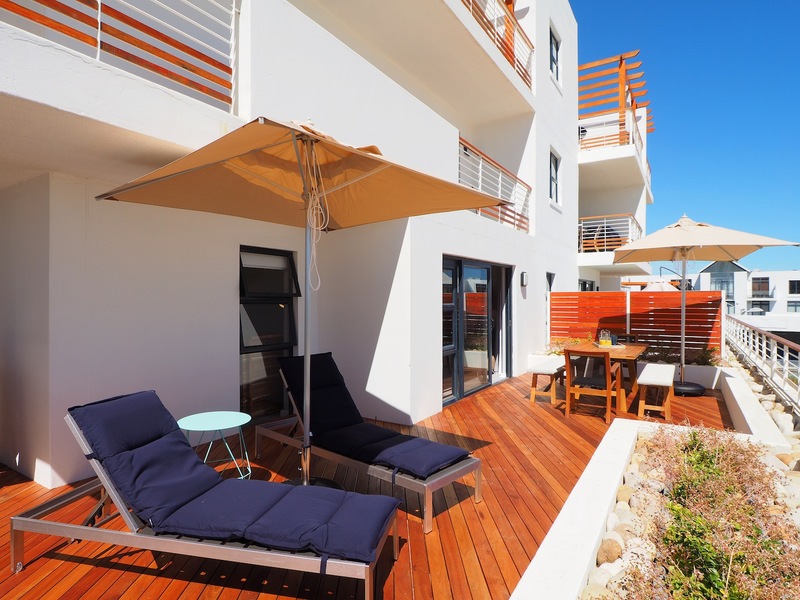 Guests can also walk to the beach, which offers surfing, and kite surfing.